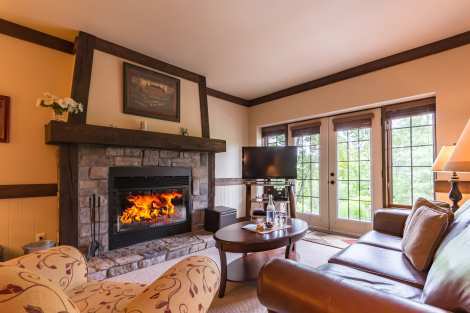 The Algonquin condos are harmoniously perched on the side of the mountain, at the heart of Domaine de la Forêt, overlooking the majestic Tremblant Lake and the pedestrian village. The view of this magnificent panorama can't be beat. 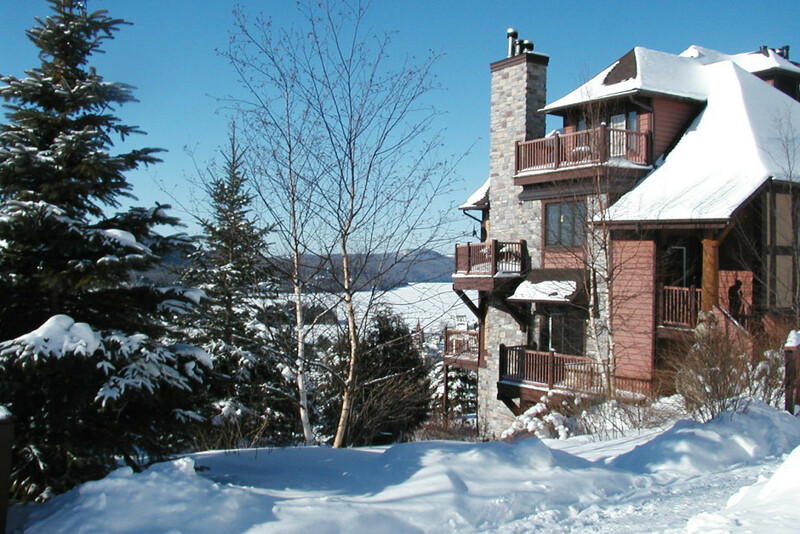 Those staying at the Algonquin benefit from exclusive access to the ski hills and the many hiking trails crisscrossing the mountain. A shuttle links the Domaine to the pedestrian village's boutiques and restaurants, but you may prefer to enjoy the 15-minute walk it takes to get there. A charming one-room condo that's ideal for a romantic or adventurous stay. 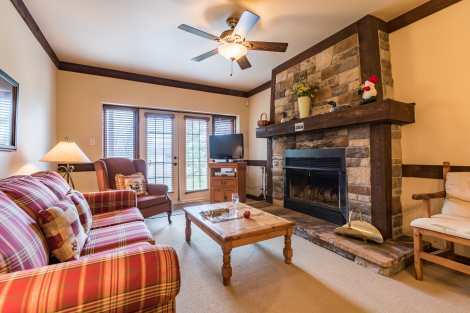 The cozy country- style décor includes a wood-burning fireplace, where you can cuddle up on cold days. Everything is provided for cooking and enjoying delicious meals accompanied by a good glass of wine. The bedroom has a cozy king-size bed that's just right for restorative sleep. In summer, the patio equipped with a barbecue grill offers a great view of the lake. The unit comes with wireless access to high-speed internet, two cable TVs, a DVD player and a compact sound system. A ski locker is available to the occupants. 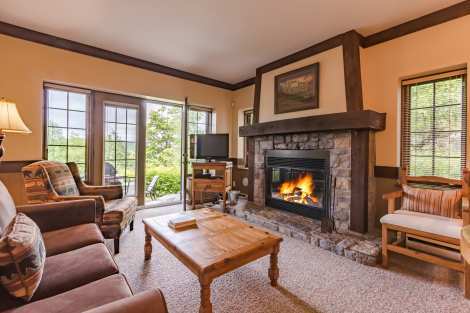 Charming 1 bedroom condo with terrace, wood burning fireplace, one of the best ski in/ski-out properties in Tremblant. 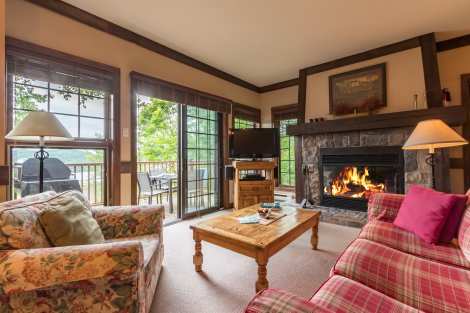 Rustic style, corner condo with terrace and wood burning fireplace, great ski-in/ski-out location right outside the door,. Charming corner condo offering a BBQ during the summer and a wood burning fireplace for the winter months. A short walk to an excellent ski-in/ski-out location.